We cover the 17 metro Atlanta area counties within a 45 mile radius. Atlanta, Decatur, Ellenwood, Stone Mountain, Rex, Union City, Peatree City, Newnan, Smyrna, Marietta, Austell, Woodstock, Dallas, Lithia Springs, Douglasville, Lithonia, Conyers, Covington, Snellville, Powder Springs, Dallas, Dunwoody, Roswell, Johns Creek, Alpharetta, Milton, Suwanee, Buford, Lilburn, Lawrencville Stockbridge and Mcdonnough. Please call to find out if we can come to your area. No matter what type of event or party you’re planning, you can make it better with Party Animals. Our Atlanta Costumed Characters are popular additions to any gathering. 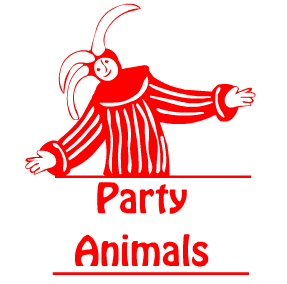 And if you want clowns, look no further than Party Animals. Our clowns keep people smiling at events all year long. Our services are not limited to parties either. We’re happy to assist with the grand opening of your business or with providing corporate entertainment for your next sales meeting. Our jugglers, magicians, and other entertainers know how to get your crowd involved and set the stage for your meeting or corporate event. When businesses in Atlanta want to make a splash with their grand openings, they come to us. We help by bringing the costumed characters and personality to bring their meetings and events alive. 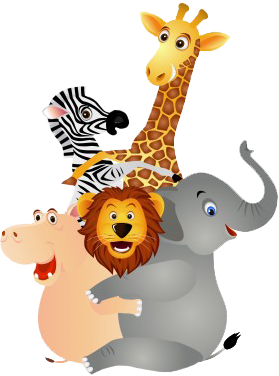 Get more attention for everything you do by bringing along a few Party Animals!